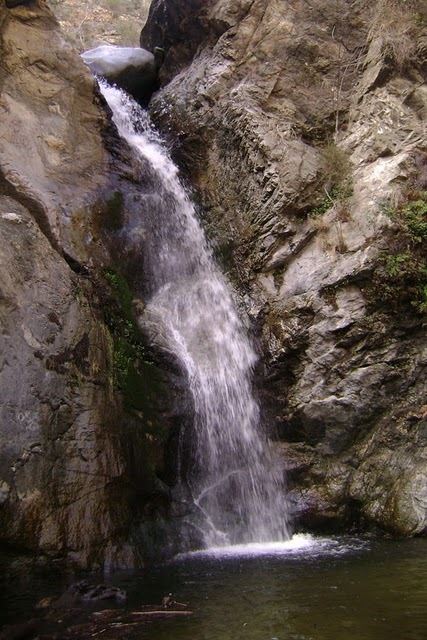 TRAIL NAME: Eaton Canyon Park trail to the waterfall area. If entrance gate is not open by 8:00 am, you can simply wait for the gates to be opened by the park, or find street parking and walk in. We recommend you wait, as it usually doesn’t take long for the rangers to open the gate. This hike will be occur once the gates are open. TRAIL WALKTHROUGH: We start at the Nature Center parking lot. We might just take a quick tour of the nature center to see types of wildlife and plants that exist out in the park. From the parking lot we head north on the Eaton Trail. For the first mile and 1/2, we trek along a wide trail with limited shade provided. This part of the hike is quite leveled and is good for a warm up. Then we will reach the bridge area where we will take a lower trail that will lead us into the adventurous part of the hike. For the next 1/2 mile there will be plenty of shade from the trees and the canyon itself. Along this 1/2 mile we start to encounter the stream which we will be crossing by boulder hopping. We continue to find the trail every so often as we make our way through the curved canyon. The last part just before we get to the waterfall, hikes will need to be able to get up a few rocks to an upper level of the trail. Right after, we do about 2 more boulder hops and we arrive at our destination. We’ll stop to take a snack, drink water and take some pictures. It should take about an hour to get from the Nature Center to the Waterfall area. And, we head back the same trail to get back to our origin. SPRING NOTE: Expect water crossings along the way. You may get wet, so wear shoes or river sandals that you don’t mind getting wet. 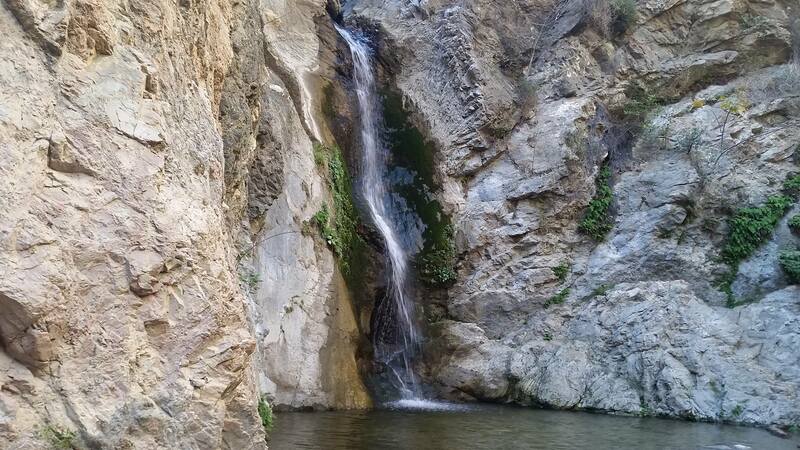 SUMMER NOTE: During summer seasons, the waterfall may not be as luscious as pictured. Waterfalls do tend to dry up a bit, but the hike is still worth it. Pack additional water and bring sun gear to help keep cool and protected from the sun. REQUIRED: 1.5 to 2 Liters of water, sports/hiking shoes that you don’t mind getting wet when crossing a stream, a good sized snack. RECOMMENDED: Tough/Sport/walking shoes with grip, sun screen. DOG-FRIENDLY? : Yes, but must be on a leash. Must have hiking experience (friendly to dogs and hikers). PARKING: Parking is free inside the Eaton Canyon Park and Nature Center area parking lot (and overflow area). Please note that parking can get full quick, so get there earlier to save your car a spot. Should the main parking lot along the nature center fill up, you can go to the overflow parking area and walk over to the meeting area.